The Maverick MK Pyxis gives lighting designers an endless array of eye-candy looks with its beam and wash effects, wide zoom range, continuous 360° pan and tilt movement and aerial and pixel-mapping effects. 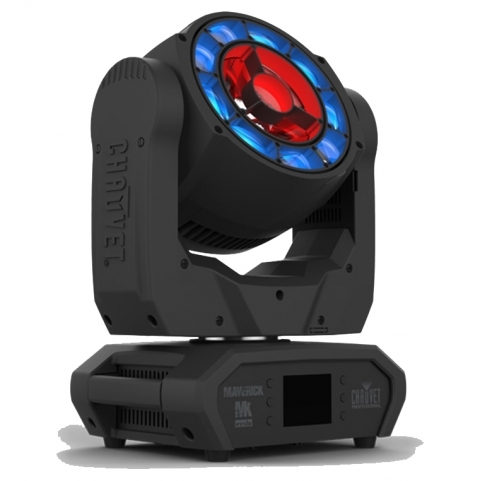 This unique and compact moving light features a ring of nine 15 watt RGBW LEDs with a zoom range of 7° to 45°, built-in color macros & gobos, as well as a punchy 60-watt RGBW LED serving as a center pixel with a 3° beam angle. Currently only located at 4Wall DC.